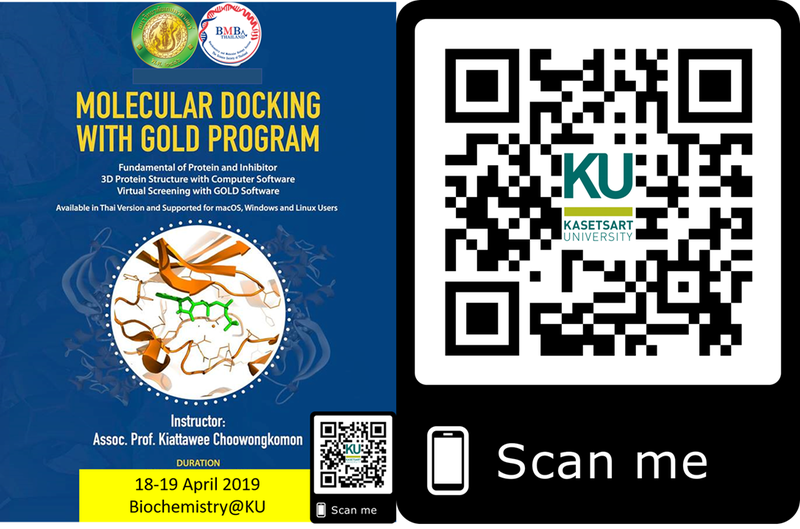 Workshop on "Molecular Docking with Gold Program"
"As BMB is a constituent member of FAOBMB, BMB member will get special registration rate at ConBio conference. Please email us with your membership number to bmbthailand@gmail.com to receive special code. 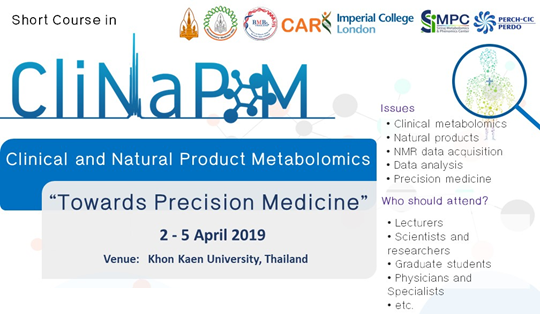 To register, you can use the link on the registration page to FAOBMB and in the field denoted Membership Number enter the specific code." 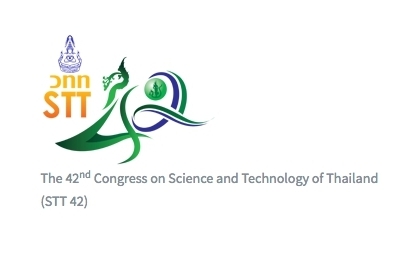 "The deadline for abstract submission is extended to April 28, 2017." 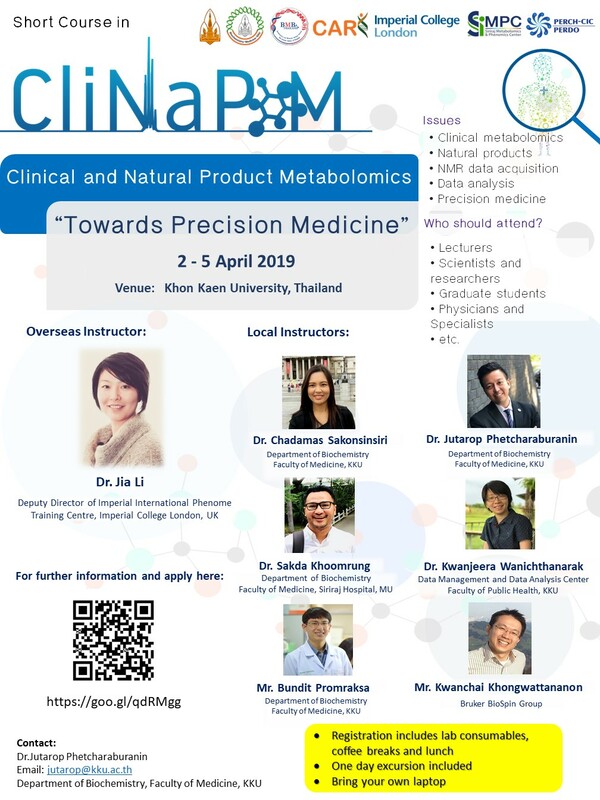 IUBMB Advanced School on "Molecular aspect of the food-health relationship"
"ทุนสนับสนุนการนำเสนอผลงานวิชาการในการประชุมวิชาการ 27th FAOBMB & 44th MSBMB Conference"
"Congratulations to Assoc. 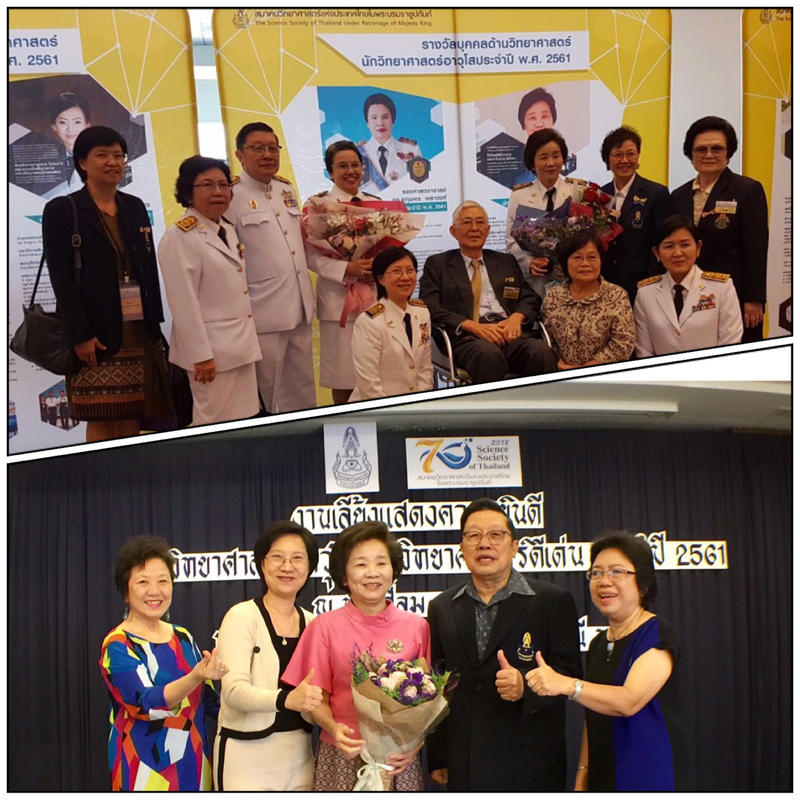 Prof. Dr. Tipaporn Limpaseni on receiving the 2018 Senior Scientist Award from the Science Society of Thailand"
We are pleased to announce Prof. M.R. Jisnuson Svasti-BMB. We are pleased to announce Young BMB 2018 Awards. "Congratulations to Assist. 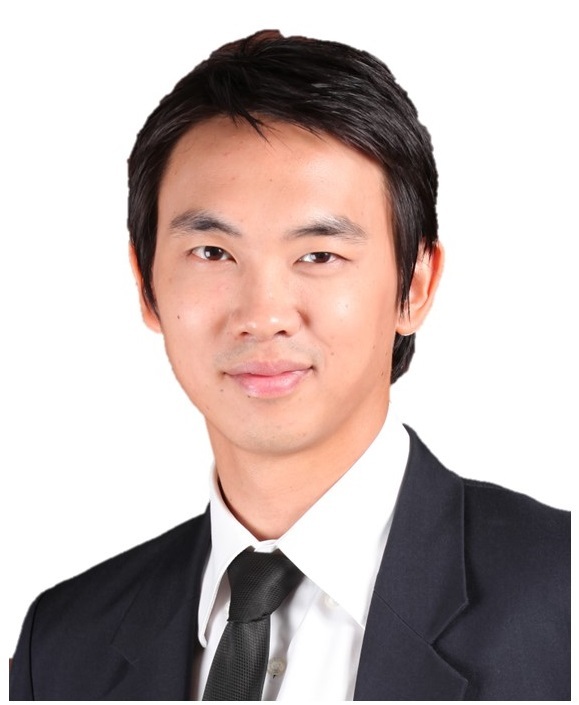 Prof. Dr.Varodom Charoensawan on receiving the 2018 FAOBMB Young Scientist Award"
"The Science Society of Thailand under the Patronage of His Majesty the King announced the amendment to the Membership Fee"
"รางวัลนักชีวเคมีและชีววิทยาโมเลกุลดีเด่น พ.ศ. 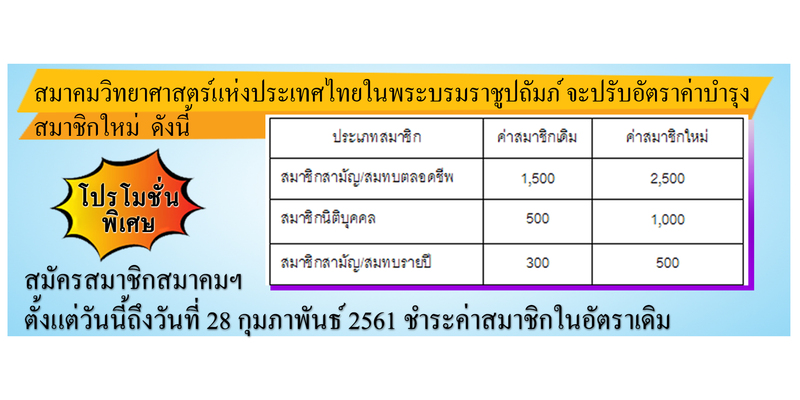 2561 และ รางวัลนักชีวเคมีและชีววิทยาโมเลกุลดาวรุ่ง พ.ศ. 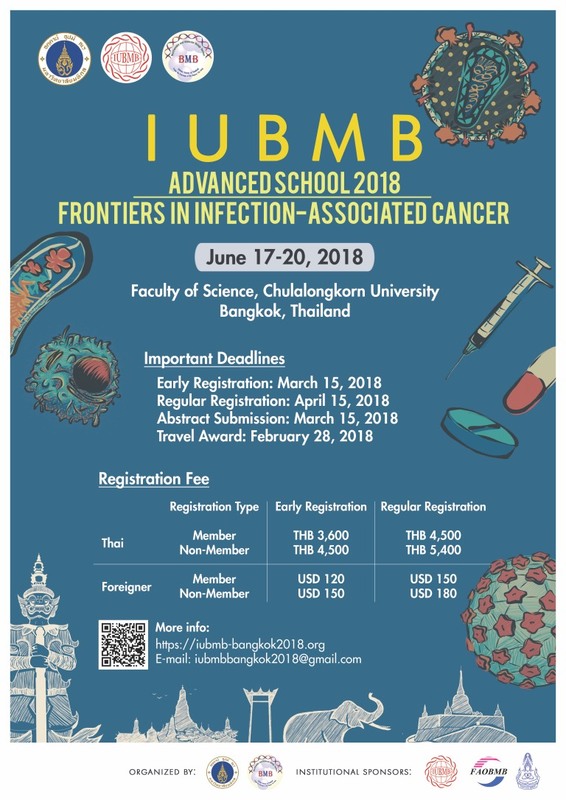 2561"
"IUBMB Advanced School 2018 on "Frontiers in Infection-Associated Cancer" in Bangkok, Thailand, on June 17-20, 2018"
"Announcement: BMB-Thailand Travel Grant for the 26th FAOBMB Conference with ConBio 2017 in Kobe"
"Congratulations to Assist. 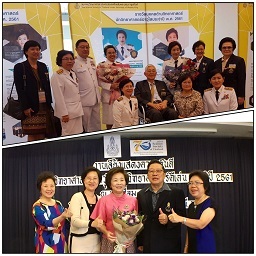 Prof. Dr.Varodom Charoensawan on receiving the Young Scientist Award from Foundation for the Promotion of Science and Technology under the Patronage of His Majesty the King"
This IUBMB Advanced School is primarily aimed at young scientists (PhD students, post-docs, junior faculty) active in the fields of biochemistry, nutrition, food science, and related disciplines. Young participants will be offered IUBMB bursaries meant to cover a (sizeable) part of their travel expenses. Also, please note that the registration fee includes all the food and lodging expenses. Propective applicants are encouraged to contact Francesco Bonomi (Email: francesco.bonomi@unimi.it) for further information. The IUBMB Newsletter Oct 2016 is available at http://iubmb.org/newsletter/. 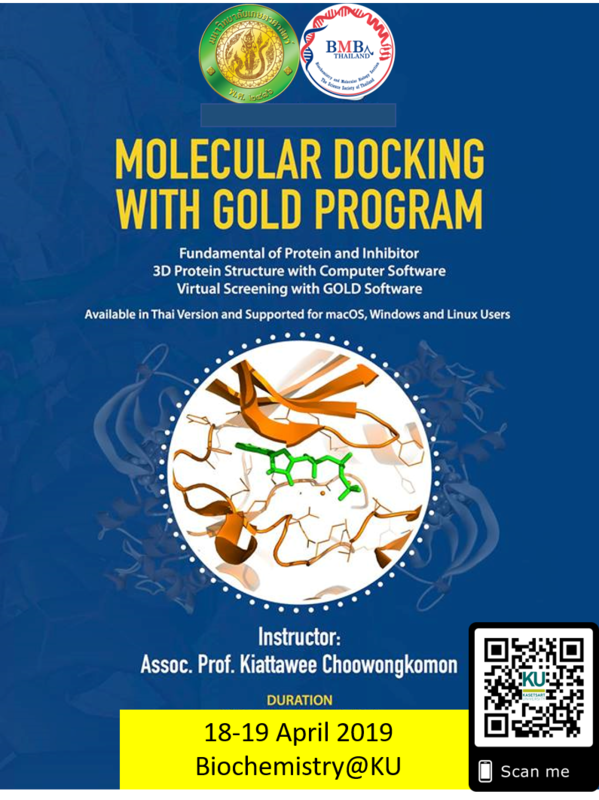 We are pleased to announce Prof. M.R. Jisnuson Svasti-BMB and Young BMB 2016 Awards.